Divorce is on the rise in Cyprus and there are calls for reform to make it more efficient. At present there is a fault-based system and the church retains some influence. Cyprus is also a popular destination for British citizens to marry. A petitioner must rely on one or more of a number of grounds to demonstrate the irretrievable breakdown of the marriage. These include inexcusable absence and the refusal of one spouse to have children. If spouses have been ‘continuously estranged’ for more than four years it’s not necessary to prove irretrievable breakdown. A petition following a civil marriage may be presented at any time provided one spouse has been resident in Cyprus for at least 3 months. If there was a religious marriage the petitioner must inform a bishop of the grounds for divorce and wait three months from this notification before issuing the petition. Although the Cypriot courts can make interim orders in relation to property and the family home while the divorce is ongoing, for the substantive resolution of disputes it’s necessary to issue separate applications. The courts only have power to divide property that was acquired jointly after the marriage. In relation to child arrangements, direct relatives as well as parents are permitted to make applications to the court. 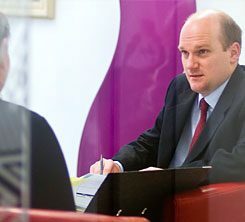 We are specialist divorce lawyers and family solicitors and we advise clients who have a connection with Cyprus. Our clients can include those who are UK–based but originate from Cyprus, are living in Cyprus but have a connection with England or Wales, were married in Cyprus, or have other family connections with Cyprus.